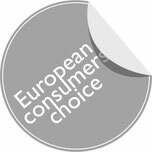 For over 60 years, Gorenje has been effectively combining smart technology, excellent design, care for the environment and great value for the user in each appliance it makes. 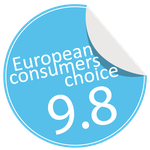 It is among the leading European home appliance manufacturers and its novelties constantly raise the bar for quality standards and consumer expectations. Gorenje+ offers an XL dishwasher model with surprisingly spacious interior. Three baskets allow washing up to 17 place settings at a time! 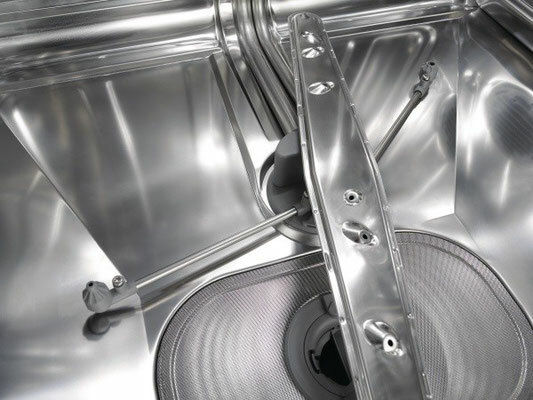 The machine with new interior layouts and smart placement of spray arms is 86 centimetres high. Even the standard- dimension machine can wash incredible 16 place settings in a single cycle! 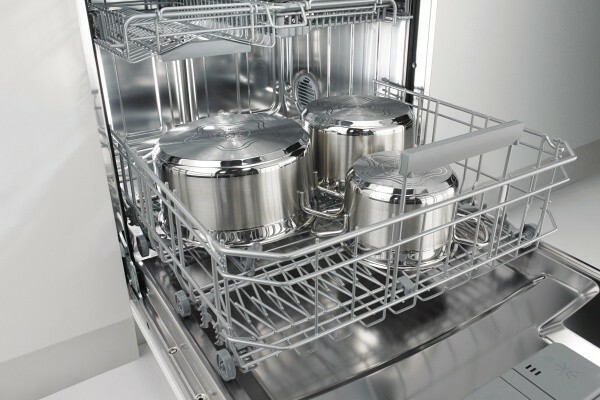 Gorenje+ dishwashers deliver excellent washing results and thorough rinsing. 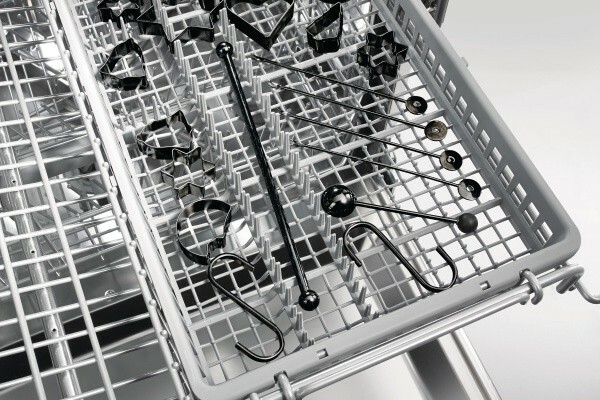 Eight essential parts of Gorenje+ dishwashers are made of high-quality stainless steel. 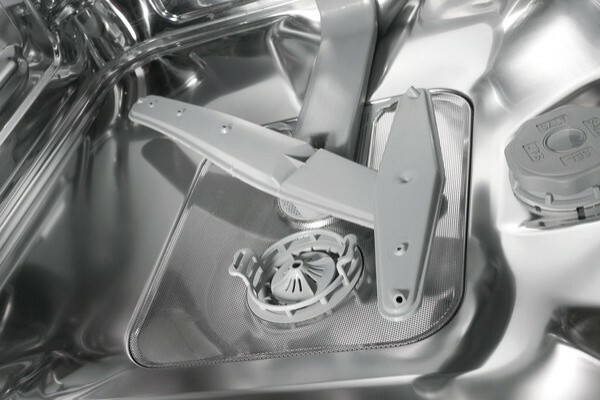 Carefully chosen material is not only used for housing and baskets, but also for the heater, spray arms, tub, filters, water spray pipe for the upper basket, and even the dishwasher feet. The quality of steel prolongs the appliance's useful life which is further guaranteed by the warranty period for Gorenje+ appliances. 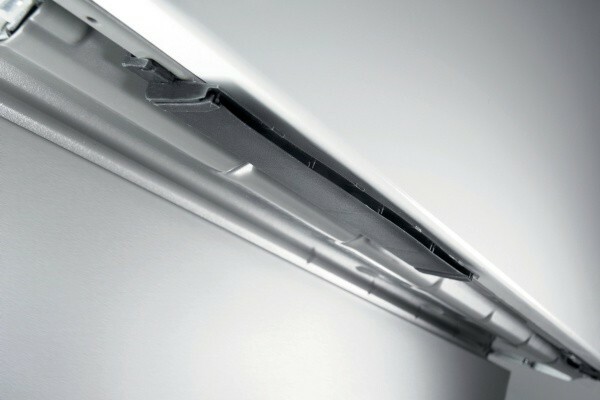 Special LED lamp installed on the lower part of the dishwasher door constantly indicates the current stage of the dishwashing program. Blue light stands for the beginning of the program and informs the user that it is still possible to add dishes to the machine without compromising on the final effects. Red light goes on when the detergent has been released. In this stage, adding items or otherwise interrupting the washing program is no longer desired. When the green light appears, the washing cycle is over. Completion of the program is also signalled by a short beep, while the green light remains lit for two hours. Dishwasher models Gorenje+ feature an impressive patented solution to completely dry your dishes and give it a perfect shine. 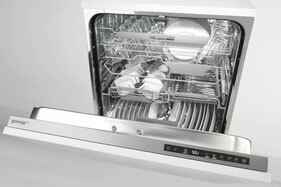 After the washing cycle, dishwasher door automatically, slightly opens, just enough to remove excess steam. 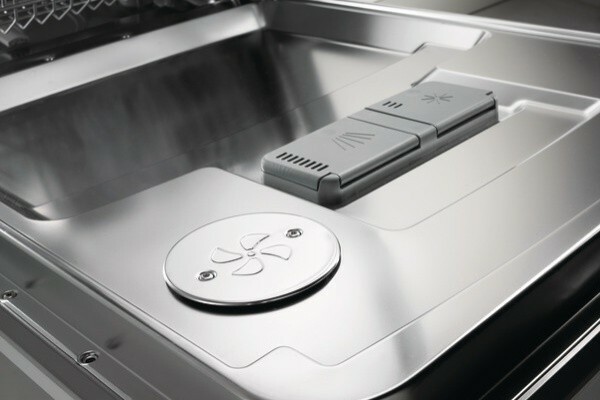 This innovative function is a very user-friendly solution as the dishwasher is already open when you are ready to empty it, and the dishes are cool enough to be handled. 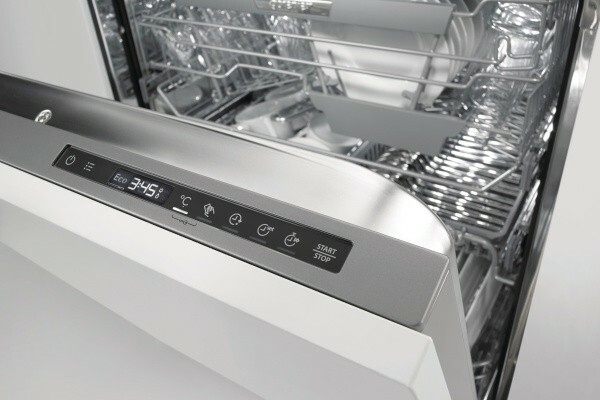 All appliances are fitted with a clearly laid out LCD display on the control panel to allow simple control of the dishwashing process by displaying the selected dishwashing program, any additional functions selected, and remaining time until the end of the dishwashing process. Additional ChildLock system allows locking the control panel to prevent children from switching on the washing machine or changing any settings. 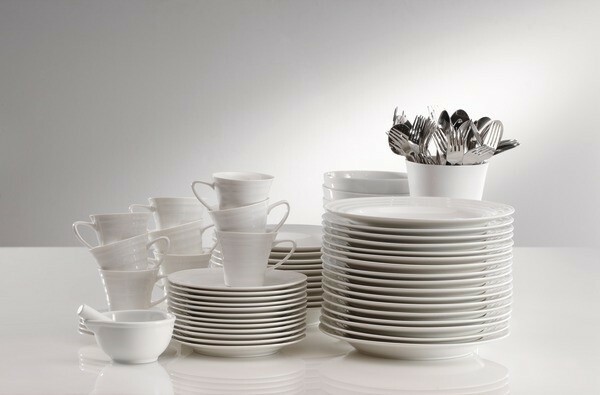 Efficiently washed dishes without manual rinsing before placing the dishes into the dishwasher! The patented SCS system which lasts 84 seconds excellently cleans the filter and the appliance interior before the start of each washing cycle. Three seconds after the pre-wash, the system sprays the water in the dishwasher tub for two seconds, and then stops for five seconds. 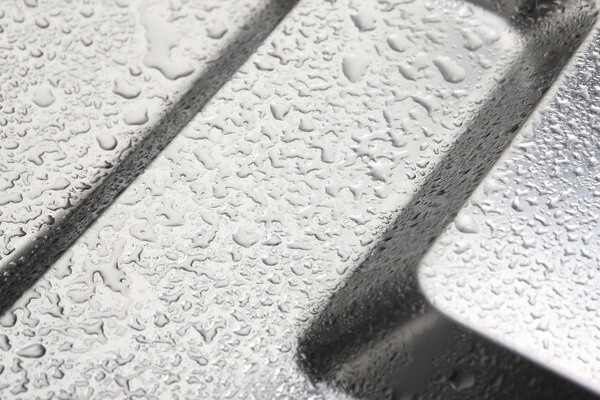 The process is repeated eight times, which takes approximately 1.7 litres of water. 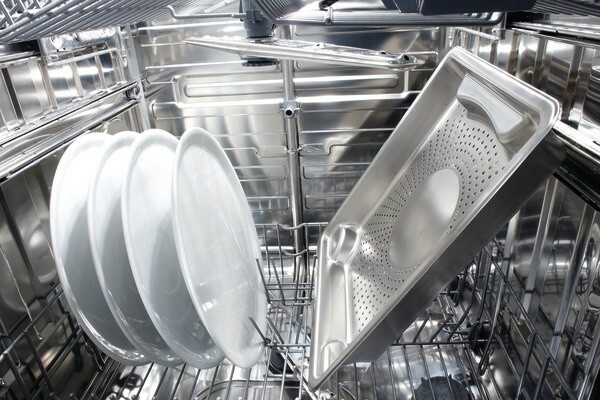 Hence, the dishwashing process starts with rinsed dishes. 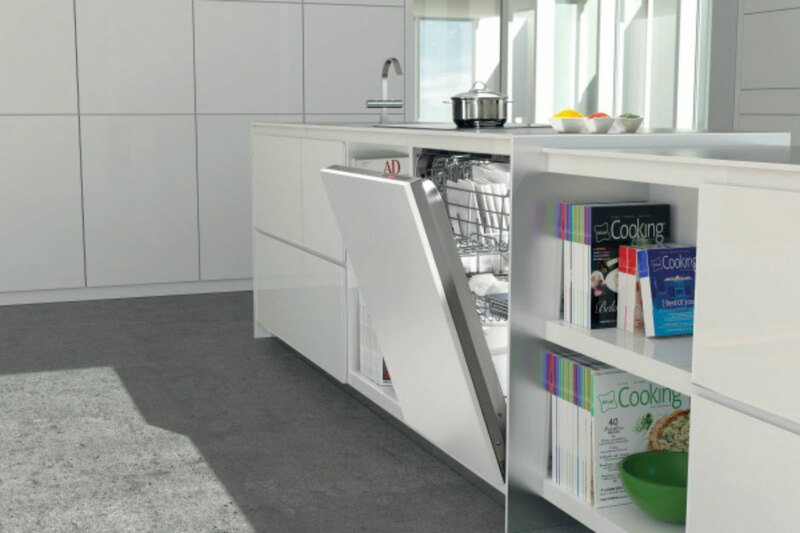 "This dishwasher truly uses its space potential to the maximum. 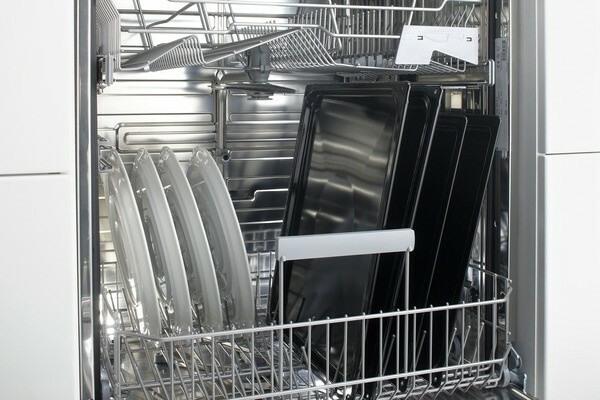 It is very convenient if you do not want to run the dishwasher every 2 days but also for larger families." "The washing result is breathtaking, even with very dirty dishes. I think this is because the pre-wash is really effective. No need to rinse the dishes, the dishwasher does the job for you, faster and more enjoyable." 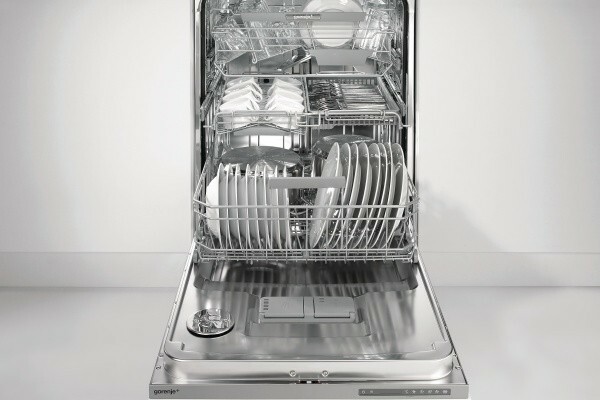 "The dishwasher's strength is definitely its capacity but also its economy class which is perfect to save on electricity and water bills." "What impressed me most - an important detail if you have children- is that dishes, plates, cutlery are not hot, just at room temperature once the cycle is complete so that even children can empty the dishwasher." "I do not eat gratin dishes, things that remain in the oven for hours and I appreciate the "speedwash" option to help wash out perfectly in a very short time and so I can even reuse the same dish twice a day." "I like its small LED colors that warn when the cycle is in progress and when it is completed. Since the unit is very quiet it is really useful."